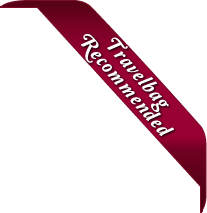 Book your hotel in the USA online or over the phone with Travelbag.co.uk. With over 30 years of experience in arranging holidays to the USA, our dedicated team has expert knowledge in the best hotels in USA, tours, sights and attractions. Due to the intimate working relationship we have with all of our suppliers, we can offer you the cheapest prices on hotels in USA. However, if you do find the identical hotel or holiday offer cheaper anywhere else, then our Best Price Guarantee will ensure we beat the price! The USA is an amazing country to explore. We have a wide choice of fantastic hotels throughout America and will choose one that fits perfectly to your holiday requests and budget. From hotels on the golden beaches of the ‘Sunshine State’ of California, through to the bright lights of ‘Sin City’ Las Vegas and on to the world famous metropolis of ‘The Big Apple’ New York City, we can offer you cheap hotels and luxury accommodations in abundance. With the USA being such a large and diverse country, it makes sense to cover all bases in regards to your holiday. Whether you’re looking for a short break in one of the major cities like Chicago, or two weeks lazing on the beaches of Miami, we have the hotel for you. Visiting Disneyland in Florida, seeing the Grand Canyon, watching the erupting geysers at Yellowstone National Park or taking a trip to Washington DC to see the White House, home of the US President, are just some of the many options open to you. 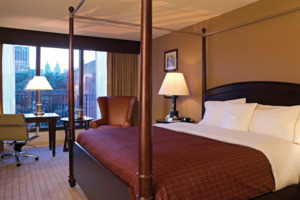 Included in our wide and diverse selection of hotels in the USA, are a host of luxurious properties where guests can feel relaxed and pampered for the duration of their stay and many simple accommodations for those short stays where you just need somewhere to rest your head after a day of exploration. 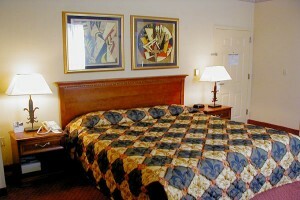 Whatever your needs, or your budget, we can find a USA hotel to best fulfill your requirements. Our range of USA hotels includes the popular Las Vegas hotels The Luxor, MGM Grand and Circus Circus, New York hotels such as The Wellington and The New Yorker and the Doubletree International Plaza in Orlando. A selection of popular USA hotels is displayed below. If you cannot find a suitable offer, please use the search form or contact our travel experts and we will help find your perfect hotel in USA. Here is just a selection of our favourite and cheapest hotels in City Breaks & Rest of USA. Please use our search panel above to find your perfect choice. 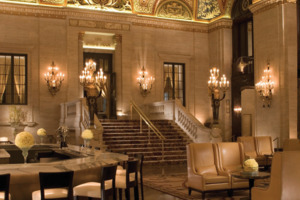 Nestled deep amidst the cultural highlights of Chicago’s theatre and financial district, the Palmer House Hilton Hotel serves as an iconic urban oasis that has served and taken care of its guests for the past 140 years. 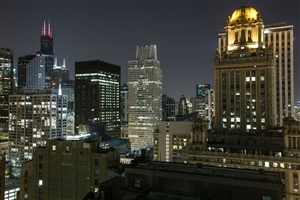 Situated an incredibly short distance from several of the city’s most significant landmarks, ... avid explorers are sure to appreciate the hotel’s enviable positioning, with such hotspots as the Art Institute, Grant and Millennium Parks as well as State Street’s shopping outlets easily within reach, all waiting to be discovered. The hotel itself with its stylish designs of frescoed ceiling, spacious settings and a blend of modern and classic styles is a great place to start and end each day, and with so many facilities to utilise, in-house dining venues to visit and lavish accommodations to choose from, this is one haven that is sure to leave you smiling. Standing as a reliable getaway for travellers looking to escape to the vibrancy and sophistication of Seattle, the Hotel Deca invites guests the world over to indulge in the sights and sounds of the city while also enjoying plenty of comfort, space, privacy and service at this University District haven. ... The boutique hotel is designed with cosy furnishings and bright colours along with Art Deco elements that grant the whole establishment a distinct sense of modern style while also boasting of panoramic views overlooking the surrounding area that further enhances the soothing ambiance throughout the hotel. Close to such local highlights as the University of Washington, the Burke Gilman Trail and the Burke Museum, avid explorers are sure to see the benefits in staying at this personal haven, while the lavish accommodations, in-house dining venue and facilities are enough to ensure those seeking to ease back and relax are well taken care of. 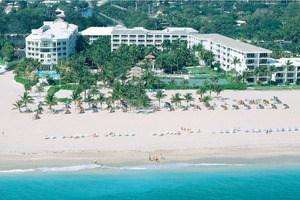 Dive right in to Fort Lauderdale’s stunning beachfront setting with the Ocean Sky Hotel and Resort, a warm and welcoming holiday hub where travellers can get to grips with the nuances of Florida’s south eastern coast while also being treated to an abundance of modern comforts, generous amounts of space ... and enough style to ensure a memorable occasion. 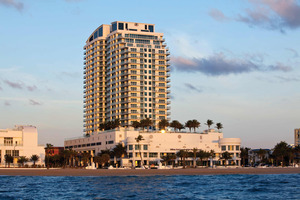 Situated directly upon the beach, guests of the hotel are free to easily access the shimmering waters and sun kissed sands of the area up close or simply enjoy them from the comfort of one of the 225 lavishly designed accommodations, or for those who prefer a touch more exploration, the downtown district and historic Las Olas Boulevard sit just fifteen minutes away, waiting to be discovered. Ease back and enjoy the comfortable confines of the hotel or immerse yourself in the soothing ambiance of Fort Lauderdale’s coastline, either decision is sure to be a good one. Enjoying its own beautiful waterfront setting beside the Intracoastal Waterway, the Hyatt Pier 66 is a recognised Fort Lauderdale landmark. The adjacent marina offers a variety of watersports or, if you're just looking to unwind in the sun, then the hotel's tropical pool oasis with two pools and a huge ... hot tub is the place to be. There are a handful of restaurants a twenty-minute walk across the causeway and the hotel offers free water taxi transport to the beach and to downtown. 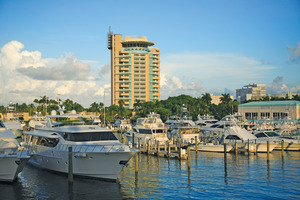 Just a few minutes from Port Everglades, the hotel is well-suited as a relaxing pre- or post-cruise stay. Nestled deep in the city of San Diego, the warm and welcoming Handlery Hotel San Diego serves as an idyllic city getaway that not only brings plenty of comfort and style to the fore of any traveller’s holiday experience, but due to it being a fourth generation family owned hotel, ... also prides itself on its personal levels of service, creating a cosy home away from home feel. 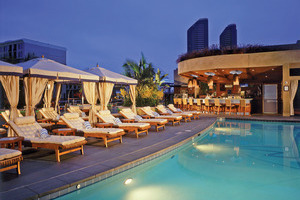 Set within San Diego’s Hotel Circle, the hotel provides easy access to many of the surrounding highlights dotted around the city, while the hotel itself with its lavish accommodations, numerous amenities and in-house dining venues makes a visit to “America’s Finest City” all the more memorable. Inviting guests the world over to discover the many sights and sounds that make the centre of Chicago such a vibrant setting, the Allegro Hotel serves as an idyllic urban escape whose generous amounts of comfort and attentive level of service are signature amongst the Kimpton brand. Situated across from ... the historic Cadillac Palace Theatre and in close proximity to many other theatre venues, the hotel provides easy access to some of the city’s most cultural hotspots, while the hotel itself stands out as a truly magnificent landmark due to its quality facilities, its elegant in-house dining venue and the plush filled accommodations that all come together to showcase some of the most reassuring aspects of any memorable vacation. Immerse yourself in the vibrant ambiance found within the heart of Chicago with a stay at the Fairmont Chicago, a modern beacon of luxury that stands tall as part of the distinct skyline of the Windy City, providing convenience for those looking to experience the sights and sounds of the ... area while also showering travellers with an abundance of comfort and style. Surrounded by such local landmarks as the Grant and Millennium Parks, Navy Pier, the Magnificent Mile and Oak Street, the hotel is perfectly situated to offer easy access to the most prominent highlights Chicago is known so well for, with the hotel itself with its lavish designs, bursts of colour and spacious settings is a great place to start and end each day, with the numerous facilities ranging from the recreational to the soothing to appeal to each and every visitor seeking something extra special to enhance their holiday. 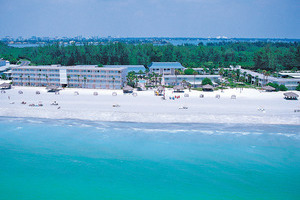 Take in the gorgeous sun, sea and sand of Sarasota with the Sandcastle Resort at Lido Beach, a fantastic sun-kissed escape where beachfront living awaits you, combined with the plush comforts, spacious settings and attentive service expected of a modern day holiday haven, ensuring traveller satisfaction from start to finish. ... 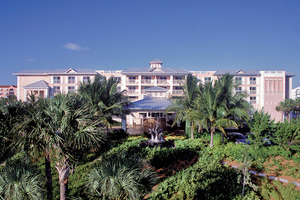 Guests can choose between basking on the pristine, white sands of the 600ft stretch of beach and listen to the gentle ebb of the waves, discovering the shopping outlets and entertainment hubs of St. Armands Circle or simply ease back into the comfortable confines of the resort where numerous facilities, in-house dining venues and cosy accommodations come together to provide everything a visitor to Lido Key may need. 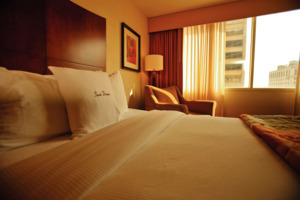 In the heart of downtown Philadelphia's central business district, the Sonesta Hotel Philadelphia offers a good value for money base just minutes away from Philadelphia's historic attractions, shopping, and some of the best restaurants in the city. The Liberty Place shops are within walking distance, as are City Hall, the ... Museum District and the Reading Terminal Market. The nightlife and restaurants of Rittenhouse Square are just three blocks from the hotel, and the hotel also has an outdoor swimming pool that opens during the summer months. 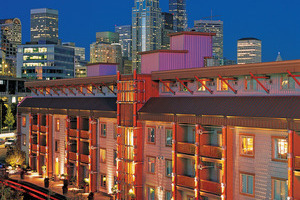 Settled upon Seattle’s Pier 67, The Edgewater sits as a welcoming holiday escape that gazes out towards the Olympic Mountains and Seattle skyline and serves as the only waterfront hotel in the city. Designed with a style all unto itself, the hotel emanates an authentic Pacific Northwest ambiance further intensified ... by the aluminium exteriors, wooden interiors and its situation practically over the top of the water while also paying homage to the golden era of rock ‘n’ roll with memorabilia dedicated to bands such as The Beatles and KISS, making this a truly spectacular and unique establishment in nearly every way. Just a short distance away from such local landmarks as Pike Place Market, Olympic Sculpture Park and the iconic Space Needle, the hotel provides easy access to many of Seattle’s highlights for explorers to discover while the hotel itself with its lodge inspired accommodations is the perfect place to begin and end each day in complete bliss. Settled across the stunning North Beach in Fort Lauderdale, the Hilton Fort Lauderdale Beach Resort is just the place for those seeking a rejuvenating holiday experience in one of Florida’s most idyllic settings. Designed with a combination of modern comforts and elegant nuances, the resort aims to soothe through and ... through, hosting generously spacious areas to relax in, an abundance of recreational and blissful facilities and an attentive level of service to top it all off, all coming together to ensure traveller satisfaction from start to finish. Boasting unforgettable vistas looking out over Fort Lauderdale’s skyline and the waters of the Atlantic Ocean, the resort brings all the beauty and splendour of Fort Lauderdale to the fore, inviting guests to ease back and revel in the sights from their very own lavishly fitted suite, while the in-house dining venues showcase flavours from around the world for all to revel in, making this a setting of unsurpassed quality that both leisure and business travellers can truly embrace. Welcome to San Diego’s historical Gaslamp Quarter, an area where culture and tradition can be seen throughout the buildings and felt throughout the air, and what better way to enjoy the ambiance of this holiday hotspot than with a stay at the Hotel Solamar, a warm and welcoming boutique escape ... that brings a sense of style and comfort to any San Diego vacation. 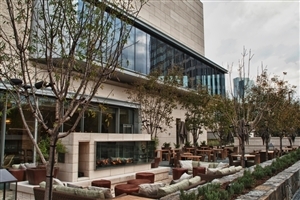 Situated close to the San Diego Convention Centre and Petco Park to name but a few local landmarks, guests of the hotel are welcome to explore and discover the nuances of the district, with many dining outlets, shopping venues and entertainment hubs peppered across the city just waiting to be discovered. 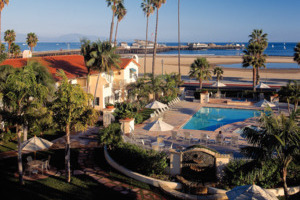 The hotel itself, with its many facilities and lavish accommodations are just the thing for business and leisure travellers before and after a day of exploration or relaxation in “America’s Finest City”. Towering 34 storeys high, the comfortable Crowne Plaza Hotel enjoys an excellent downtown location within easy reach of a number of Seattle's attractions. The hotel lies within easy walking distance of Pike Place Market and the Seattle waterfront with plenty of shops and dining options in the vicinity. Also close ... by is Seattle's landmark Space Needle and Pioneer Square, starting point for Seattle's underground tour. If you’ve ever wanted to experience what life on a soothing, tropical island would be like, then the Paradise Point Resort and Spa is the perfect place for you. Nestled deep along Mission Bay in the heart of San Diego, the resort sits comfortably beneath swaying palms and looks out ... onto sandy beaches, making this an idyllic setting for absolutely everyone. Peppered across 44 acres of island space, the relaxing resort does all it can to ensure pure traveller satisfaction, presenting an abundance of comfort and style while also proving to be a safe haven far from the hustle and bustle of the rest of the city. 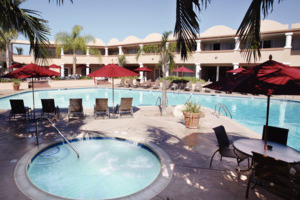 Located next door to SeaWorld, the resort is situated close to a number of entertainment outlets and city hotspots, with the downtown district, the San Diego Zoo and Balboa Park a short distance away for families and group travellers to discover. Whether it’s for business or leisure, a trip to this holiday haven is sure to impress even the most discerning of travellers. 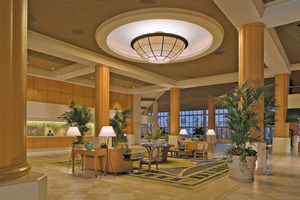 If it’s a prime location along the oceanfront of Long Beach you seek then look no further than the Hyatt Regency Long Beach, an idyllic hotel whose perfect setting is just one of the many traits guests can expect, boasting a wide range of lavish furnishings, spacious settings and an ... attentive level of service that comes together to ensure complete and utter comfort. A great choice for business and leisure travellers, the hotel with its soothing ambiance is just the thing for a relaxing time, providing a myriad of recreational and relaxing facilities for guests to utilise, in-house dining venues to visit and a total of 528 elegantly fitted accommodations that serves as an oasis within an oasis where peace and quiet is unsurpassed. With so many activities and highlights to find both in and out of the hotel, travellers are sure to find a world of memories to last a lifetime at this Los Angeles paradise. 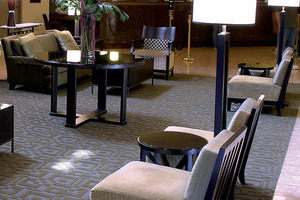 Serving as one of the most iconic hotels that the “City of Brotherly Love” has to offer, the Sheraton Society Hill Hotel offers some of the most plush comforts, spacious settings and attentive levels of service travellers can expect when visiting Philadelphia. 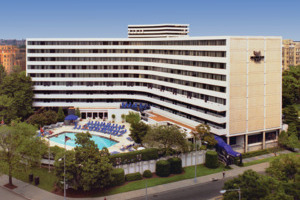 Located deep in the centre of such a ... historic neighbourhood, the hotel assures all visitors of a memorable occasion, especially if exploration is your forte’, boasting close proximity to such local landmarks as Independence Hall, The Liberty Bell, The National Constitution Centre, Independence Visitors Centre and Penn’s Landing to name but a few. If utter relaxations is the goal of the day, then the hotel is happy to oblige, hosting a variety of modern facilities, welcoming in-house dining opportunities and a total of 364 plush-filled accommodations to choose from, bringing the best elements that make an unforgettable holiday experience all under one prominent roof. Embrace the tropical ambiance of the Lago Mar Resort and Club, a luxurious Fort Lauderdale beachfront escape whose sense of elegance, style and attentive levels of service go hand in hand with the sheer beauty that runs rampant around the exclusive Harbor Beach neighbourhood. Inviting guests the world over to ... ease back and bask in complete and utter bliss, the resort sets the tone for how soothing holidays should really go and makes great efforts to spoils its guests by providing a world of choice both in and around the resort itself which is sure to appeal to even the most discerning of travellers. Whether you’re a family vacationer looking to treat the family, a romantic couple seeking to indulge in the intimacy of the area or a business traveller looking for a great backdrop for work endeavours, this stunning oasis is sure to whet the holiday appetite. Situated in the idyllic beachside setting of Santa Monica, the Best Western Plus Gateway is perfect for business or leisure travellers looking to indulge in the vibrancy of this western Los Angeles hotspot. Designed with a distinct home away from home feel, the hotel with its recreational and convenient facilities, ... its in-house dining venue and each of its 123 spacious accommodations are the perfect elements for an affordable adventure, and with the sights and sounds of Third Street Promenade easily accessed due to the complimentary shuttle, the beaches, entertainment outlets and popular eateries are all within reach from this holiday haven. Welcome to the family friendly Harbor View Inn, a boutique hotel situated in the stunning coastal city of Santa Barbara that seamlessly combines elegant, modern designs, spacious settings and an attentive level of service with the beautiful surroundings of the shoreline along with the vibrancy of the downtown district of ... the city to create a truly idyllic setting for all to enjoy. Guests can spend their time discovering the shopping outlets, chic restaurants and entertainment hubs along nearby State Street, walk along the soft sands of the beachfront, or simply ease back into the comfortable confines of the hotel, whose many facilities, accommodations and dining venues all come together to ensure complete traveller satisfaction. Filled to the brim with lavish comforts and striving to grant world class levels of service, the Hyatt Regency Huntington Beach Resort & Spa serves as a great holiday getaway for business or leisure travellers who love their creature comforts while indulging in the sights and sounds of gorgeous waterfront ... settings. 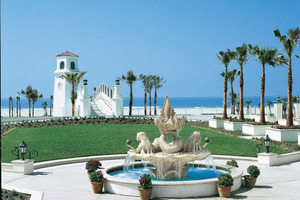 Situated deep in Orange County, the resort provides easy access to many of the local landmarks that make the surrounding area a popular highlight such as Disneyland, Knott’s Berry Farm and Aquarium of the Pacific, not to mention the renowned Orange County beaches with their great surfing opportunities, making this a perfect oasis for explorers. Hosting a total of 517 generously spacious accommodations, the resort provides plenty of comfort and style with each of the personal havens showcasing different views for guests to enjoy, while the numerous in-house dining venues and soothing facilities come together to ensure traveller satisfaction during their time spend in this Southern California oasis. Setting the tone for truly luxurious getaways deep along a beachfront of Sarasota, the Longboat Key Club and Resort stands proud as one of the most serene settings Longboat Key has to offer, providing premium Oceanside views and access while also striving to bring enough style, space, comfort and service ... to appeal to even the most discerning of holiday goers. Situated in a secluded spot along the southern edge of Longboat Key, the resort is perfect for those seeking a soothing ambiance to go with their memorable time in Florida, while the many modern amenities, in-house dining venues and plush filled accommodations are just the tip of the iceberg for what guests can expect from this world-class holiday haven. 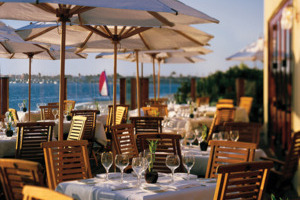 Embraced by beauty and complimented by splendour, The Ritz-Carlton, Sarasota takes some of Florida’s most memorable sun-kissed views and combines them with incredible amounts of luxury to ensure each and every traveller experiences the very best and nothing less when visiting this holiday haven resort. Perched in an idyllic vantage ... point amongst Sarasota’s downtown setting, the hotel invites guests to indulge in the sights and sounds of the surrounding area, with many cultural wonders to discover such as museums, art galleries and performance venues as well scenic coastal hotspots just waiting to be discovered both day and night. The hotel itself is nothing to shirk at, a tranquil paradise all unto itself, the comfortable confines of the hotel hold many soothing and recreational facilities for guests to sink their teeth into while the in-house dining venues bring the fine flavours of the Gulf of Mexico to life and each of the 266 lavish accommodations serve as personal sanctuaries where the colourful hues of the sky can be seen as the sun descends below the horizon. Seamlessly blending a sense of traditional charm and sophistication with modern day comforts and luxuries, the Viceroy Santa Monica is a boutique Californian hotel that sets the tone for a fantastic getaway that family adventurers, business travellers, groups or couples can appreciate and enjoy. Whether it’s indulging in the gorgeous ... seaside lifestyle of Santa Monica or simply easing back in the comfortable confines of the hotel, guests are sure to come away feeling totally rejuvenated, with so much to see and do both in and around the establishment along with the soothing facilities, in-house dining opportunities and each of the sumptuously designed accommodations, making this a haven of undeterred bliss. 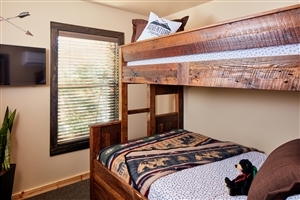 Bringing the sights and sounds of Utah’s state parks and downtown Moab closer than ever before, the Best Western Plus Greenwell Inn is everything an avid adventurer could possibly want. Conveniently situated close to such local landmarks as Dead horse Point State Park, Arches National Park, Canyonlands National Park, Slickrock ... Bike Trails, Castle Valley, Colorado River and Monument Valley, the hotel doesn’t shy away from enticing its guests to discover the natural highlights peppered throughout the area, and with so many hiking, river rafting and mountain biking opportunities and more, this is a real explorer paradise. The hotel itself is the perfect place to start and end each day in complete comfort, with enough soothing facilities and comfortable accommodation to ensure the excitement starts and ends in bliss. Situated directly along the pulse of New Orleans’ vibrant French Quarter, the Chateau LeMoyne serves as a boutique city escape where travellers can experience the vibrant festivals, ambient theatrical shows and culinary events with ease. Boasting an enviable setting close to Bourbon Street and Jackson Square, the hotel is a ... great place for visitors to spend each day indulging in the many popular sights and sounds of the district, with elegant dining venues complimenting the historical scenery to create a cultural atmosphere like no other city. Whether you’re looking to explore the bustling streets of New Orleans or simply ease back and enjoy the modern comforts of this magnificent urban haven, expect a wondrous time in The Big Easy. 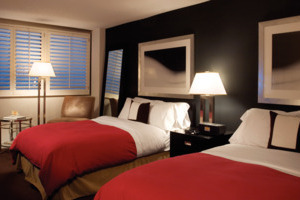 Be sure to experience all the nuances and highlights of Chicago’s vibrant downtown district with a visit to Chicago’s Essex Inn, a modern getaway nestled deep in the heart of the city on Michigan Avenue, a great place to start and end each day in total comfort. Step outside the ... hotel to find yourself mere moments away from such local landmarks as Lake Michigan, Navy Pier, the Shedd Aquarium and the Willis Tower, all conveniently close to entice the most avid of explorers while the hotel with its many facilities on offer, its own elegant in-house dining venue and its generously spacious accommodations that offer privacy and unforgettable views of the city is simply perfect for those looking to unwind. Whether it’s discovering the shopping outlets of the Magnificent Mile or lapping up the ambiance by the pool, this urban haven caters to all. 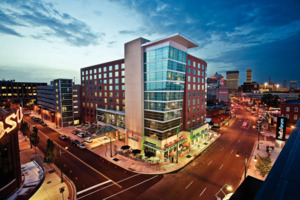 Located ideally close to many of Nashville, Tennessee’s most renowned landmarks, the DoubleTree by Hilton Hotel Nashville Downtown serves as a great urban getaway that allows travellers the world over to come and experience the distinct nuances and vibrant ambiance that make “Music City” such a touristic hotspot. Guests can ... spend their days exploring the downtown district and uncover such sights as the Music City Convention Center, the Ryman Auditorium and the Bridgestone Arena, or if you’re simply looking to ease back and enjoy the comfortable confines of the hotel, then the numerous soothing and recreational facilities, in-house dining venues and lavish accommodation choices are sure to appeal to your sense of style and luxury, and when topped off with an attentive level of service, this is one Nashville haven that won’t be forgotten. 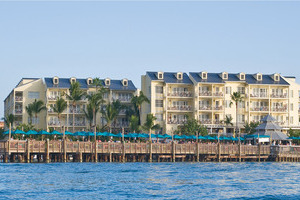 Welcome to Florida’s Key West, a soothing setting where tropical sights and sounds can be enjoyed day and night, and what better way to experience them than with a stay at the warm and attentive DoubleTree Resort by Hilton Hotel Grand Key. Striving to impress each and every traveller with ... its lavish comforts, spacious settings and high level of service, the hotel can be just the thing when considering a Florida getaway, and with so many recreational facilities, in-house dining opportunities and plush-filled accommodations to choose from, a memorable stay is within reach. Explorers can take the shuttle to Duval Street to see the wondrous outlets peppered throughout the district or alternatively embark on a boat trip for a thrilling time, but no matter what, there’ll be something for everyone at this holiday haven. Settled directly along the rim of the Grand Canyon, El Tovar Hotel serves as a historic getaway that provides comfort, style and incredibly easy access to the wondrous sights of the red rocked crevice. 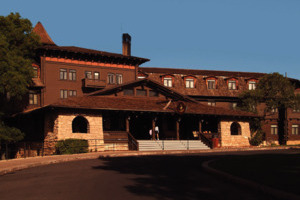 Built in the 1900s and designed as a cross between a Norwegian villa and a Swiss ... chalet, the hotel’s distinct setting pulled in the elite crowds whose tastes tipped towards European elegance and was once considered the most illustrious hotel west of the Mississippi River. 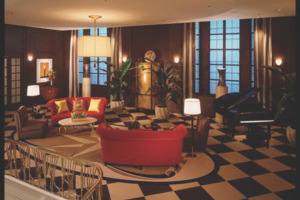 Now considered a national landmark, the hotel strives to bring a touch of decadence to all travellers seeking to indulge in the unforgettable ambiance of America’s largest natural wonder, and with a variety of lush lodgings to choose from, this is one adventure hotspot that won’t soon be forgotten. 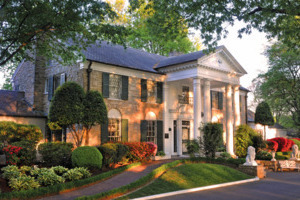 Since his baby left him, Elvis found a new place to dwell, and that place happened to be the one and only Heartbreak Hotel, a stylish and unique getaway that pays homage to “The King” himself, Elvis Presley, and if you’re thinking of spending some time in Memphis, Tennessee and ... want to experience a part of history, then look no further than this 50s haven. This legendary hotel serves as one of the most popular in the entire area and for good reason; fans of musical history as well as style and comfort should not miss out on a stay at this spectacular place that grants them an insight into one of rock ‘n’ roll’s most iconic stars, with the interiors designed in classic retro fashion just the way the man himself would have had it, and with so many in-house dining venues to visit, the 128 plush-filled accommodations to choose from and the opportunity to visit the adjacent Graceland Mansion, you’ll be as far as can be from Lonely Street at this soulful getaway. 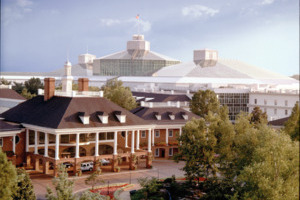 The one and only Gaylord Opryland Resort and Convention Centre invites guests the world over to come and take in the sights and sounds of Nashville while also treating themselves to a heavy helping of style, comfort and service. Tucked away at the bend of the Cumberland River, the resort ... is a great place for a soothing escape, boasting nine acres of lush landscape, cascading waterfalls and glass atriums covering the various dining venues and recreational facilities, and to top it all off; a total of 2,882 lavishly furnished accommodations waiting to appeal to your sense of finer luxuries. Whether you’re in need of some holiday relaxation or an adventure deep in the heart of “Music City”, this wondrous urban paradise is sure to tick all your boxes. 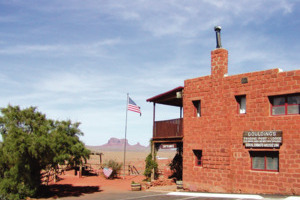 For those seeking to get in touch with nature and forego the hustle and bustle of an urban holiday, the Goulding’s Lodge in Monument Valley offers guests the perfect opportunity to enjoy some of the natural beauty that can be found in the USA. Located near the Arizona-Utah state line ... as part of the Colorado Plateau, Monument Valley is a unique setting that can be distinguished by its red monolithic rock formations that have been given names such as ‘King on his Throne’ and ‘Bear and Rabbit’ by the indigenous Navajo peoples, granting the area a sense of history that spans back through the ages. The lodge serves as an idyllic place where travellers can ease back and enjoy the splendour of the valley along with a number of modern comforts and commodities, while the surrounding area is just begging to be discovered on tours and day trips that are available to any and all visitors looking to embrace the beauty of this mesmerising location. Get ready to experience the booming city of Chicago like never before with a stay at the Hard Rock Hotel Chicago, a distinctly designed urban retreat that lives up to the Hard Rock name with its design and outlook all paying homage to the glitz and glamour of the rock ... ‘n’ roll lifestyle. Situated in a prime location deep in the heart of the downtown district, travellers can spend their time exploring the surrounding area with local landmarks only a short distance away, from the Millennium Park and the Art Institute of Chicago to the Magnificent Mile and beaches that line Lake Michigan, every direction holds gems to uncover. Those simply seeking to ease back and enjoy the comfortable confines of the hotel or attend business meetings can take advantage of the quality in-house amenities and dining venues, which when combined with the lavishly fitted accommodations make for a truly blissful city haven. 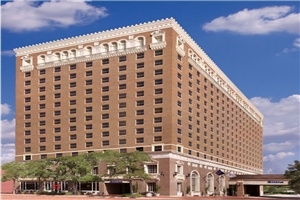 Situated deep in the heart of Fort Worth’s downtown area, the Hilton Fort Worth brings a sense of style and elegance to the fore when considering this Texas hotspot. 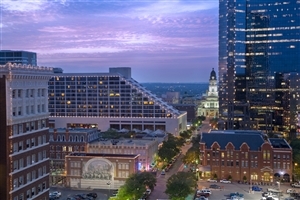 Considered a historical monument in its own right, the hotel is just as much an important landmark to the city as ... many other iconic highlights, and being situated mere minutes from Sundance Square, the Stockyards and the Cultural District, guests don’t need to stray far to get a wealthy dose of culture during their stay. 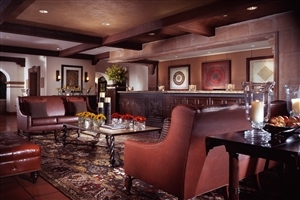 Beautifully designed and intricately furnished, the hotel ensures comfort from start to finish, and with so many in-house dining venues to choose from and a wide range of accommodations to suit all tastes, this is one Texan hotel to remember. Perfectly located deep in the heart of the United States capitol, the Holiday Inn Washington Capitol invites guests the world over to indulge in the sights and sounds of the influential city while also being treated to generous levels of space, comfort and style that aids in creating some of ... the most memorable and relaxing holiday experiences ever. Situated a short distance from such local landmarks as the Smithsonian National Air and Space Museum, the National Mall, the Washington Monument and the Whitehouse itself, the hotel is an ideal escape for explorers wanting to uncover the distinct nuances of the city, with the hotel serving as a great place to start and end each day of exploration wrapped in comfort, boasting a number of facilities, several in-house dining venues and a variety of lavishly fitted accommodations, all coming together to create a truly unforgettable setting. 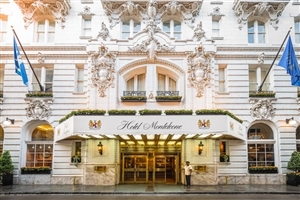 The historical Hotel Monteleone is a venerable getaway situated deep amongst the sights and sounds of New Orleans. Situated at the base of Royal Street, the hotel is a great starting point to uncover the incredible sights and sounds of the Louisiana city, with the shopping outlets, dining venues and ... highlights of the French Quarter mere steps from the hotel. Hosting a total of 570 rooms and suites, in-house eateries and a soothing spa amongst its facilities, the hotel is the ideal way to take in the splendour of New Orleans while being treated to elegant, world-class services. 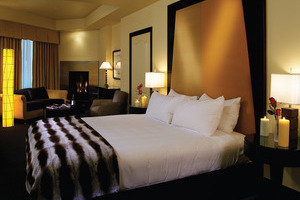 The lavish Hyatt Regency Monterey Hotel and Spa welcomes both business and leisure travellers to experience the vibrant ambiance of Central California, presenting a world of comfort and style for all to enjoy during what is sure to be a memorable time. Designed with contemporary overtones and hosting a wide ... variety of facilities, the hotel caters to many if not all tastes, with a variety of recreational and soothing amenities for guests to choose from including a spectacular golf course, making this a must for avid golf fans. 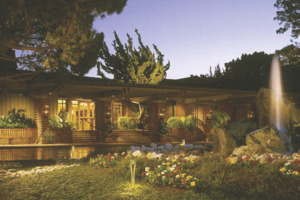 Granting a wealth of convenience in the form of each of its 550 plush filled accommodations not to mention the exquisite in-house dining options, this hotel is a great way for vacationers to truly appreciate California in all its splendour. 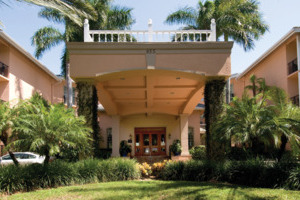 Those looking for style and sophistication deep in the heart of Florida’s illustrious city of Naples need look no further, the Inn on Fifth provides travellers with an idyllic place to start and end each day in this touristic hotspot. Located in the centre of Old Naples on Fifth Avenue ... South, the hotel provides easy access to some of the area’s most significant highlights, from the entertainment outlets, dining venues and shopping districts all the way to the white-sanded beaches and exclusive golf courses that attract travellers the world over. Intimate in nature and design, the hotel is perfect for romantic sojourns and business travellers while the numerous amenities and various accommodations, and though not as big as many hotels, there are still enormous amounts of space for guests to enjoy. 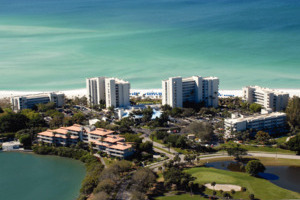 Naples, Florida is one of those truly beautiful settings where travellers can unwind beneath the shade of a tropical palm on the sun-kissed beaches or uncover the sights and sounds that make the city as renowned as it truly is, and with a stay at the La Playa Beach and ... Golf Resort, travellers the world over can do just that but with the added comfort of lavish designs, spacious settings and an incredible level of service that all comes together to ensure traveller satisfaction. Located along one of Naples most pristine beachfronts, the resort grants easy access to the soft sands and ebbing waters of the Mexican Gulf while also providing a level of privacy unlike any other with the resort itself hosting an array of in-house dining options, incredible golf course, soothing and recreational facilities and lavishly designed accommodations, each with their own distinct features to give guests a unique, customised experience they will be sure to never forget. 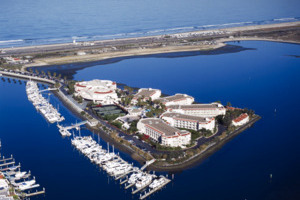 Nestled atop its very own fifteen acre peninsula, the Loews Coronado Bay Resort sits overlooking the shimmering waters of the San Diego Bay and the downtown skyline, serving as a beacon of comfort and style for guests to flock to from all across the world. Designed as a personal oasis ... of peace and serenity, the resort combines the soothing ambiance of this Californian hotspot with modern levels of luxury to ensure a truly memorable experience for all, and with so much to see and do both in and around the vicinity, guests are in for a real treat during their stay. Housing a wide range of soothing and recreational facilities, several in-house dining venues and a total of 439 lavish accommodations, the resort is more than capable of appealing to even the most discerning travellers, while the surrounding San Diego area holds many highlights and nuances just waiting to be discovered, making this an idyllic landmark for explorers and those seeking to relax. Situated in the heart of New Orleans’ vibrant and culturally enriched French Quarter, the Maison Dupuy is a magnificent city escape whose sleek designs and historical features blend in nicely amongst the residential townhouses illuminated by gas light and lined with iron fences, giving guests the distinct impression of stepping ... back in time to a charming century. Located a mere few blocks from such highlights of the city as Bourbon Street and Jackson Square, guests can easily appreciate the idyllic setting of the hotel with the area itself renowned for its lush gardens and beautiful streets making for a great place to start and end each day. Hosting a variety of facilities, its very own elegant in-house dining venue and a wide range of accommodations to choose from, this holiday haven is perfect for those seeking to experience the wonders of The Big Easy in comfort and style. 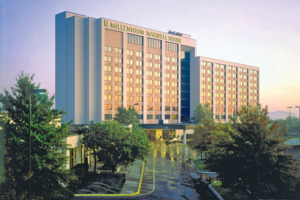 Set in close proximity to the heart of downtown Nashville, the Millennium Maxwell House is a warm and welcoming urban escape whose Southern elements and designs combines with the vibrancy of the city to make a memorable setting for both business and leisure travellers looking to experience the authenticity of ... Tennessee. Guests seeking to explore should find the ease of access to such local highlights as the Nashville Convention Centre, Country Music Hall of Fame and Music City Centre ideal, while those that would rather spend their time in the comfortable confines of the hotel should find the many soothing facilities, in-house dining venues and one of the 287 lavish accommodations just the thing to help them unwind in style. 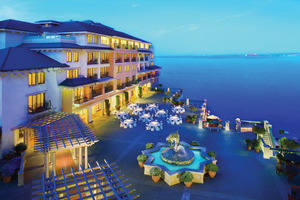 Sat atop the shimmering waters of Monterey Bay, the Monterey Plaza Hotel and Spa brings all the beauty and splendour of the Californian coast for guests to enjoy alongside a world of lavish comforts, spacious settings and an attentive level of service to accompany the outstanding views. Centrally located on ... Cannery Row, guests will find themselves able to access many of the area’s most significant highlights, with the Monterey Bay Aquarium serving as a great hotspot for family adventurers and couples to pay a visit to while others may prefer any one of the many golf courses or water sport activities dotted around the district. 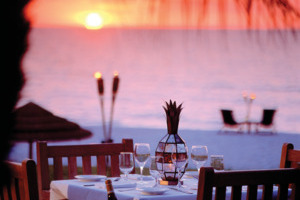 Boasting a range of soothing and recreational facilities, several in-house dining options and a total of 290 stunningly designed accommodations, all boasting their own perks and views, guests of this holiday haven are sure to find themselves perfectly at ease and completely satisfied after just one day. Standing out as one of the most luxurious holiday havens in all of Naples, Florida, the Naples Grande Beach Resort welcomes any and all travellers to unload their stresses and worries and replace them with a sense of bliss from start to finish, with the resort providing plenty of comfort, ... an abundance of style and to top it all off; an attentive level of service that even the most discerning traveller should find appealing. 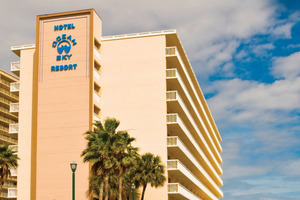 Located along one of the city’s illustrious beachfronts, the hotel provides some of the most stunning views the area has to offer, with vistas of the Gulf of Mexico and more that can be enjoyed from the comforts of any of the lavish accommodations and even some in-house dining venues. Guests will find the close proximity to the beach and city ideal when considering some exploration, and with so many soothing and recreational options in and around the resort, expect to come away from this paradise utterly rejuvenated. Enjoy the many wonders of Florida’s idyllic Key West with a stay at the Ocean Key Resort and Spa, a rejuvenating getaway that strives to bring just as much fun and excitement as it does comfort and style, ensuring the potential for memorable moments from start to finish. Travellers looking ... to get up close and personal with their gorgeous surroundings will find the close proximity to Old Town, Mallory Square and Key West Harbor perfect, while those seeking something a touch more adventurous can discover the cultural Zachary Taylor State Historic Site. If it’s relaxation you seek however, the resort with its many soothing and recreational facilities, in-house dining venues and many lavish accommodations are sure to entice leisure and business visitors alike. The Omni Dallas Hotel invites visitors to experience the numerous sights and sounds of the north Texan city while revelling in plush comforts, modern conveniences and plenty of things to do for travellers of all ages. Situated in the downtown district of the city, the hotel provides easy access to ... the landmarks, shopping outlets and entertainment highlights scattered throughout the nearby area, while the luxurious amenities, in-house dining venues and intricately designed accommodations that can be found within the lavish walls of the hotel are the perfect accompaniment to any holiday experience. Settled amongst the beauty and splendour of San Antonio’s Paseo del Rio, the Omni La Mansion Del Rio is an idyllic getaway for any and all travellers to get the most out of their stay in this Texan paradise. Within easy reach of the iconic tourist hotspots in the area ... including The Alamo, El Mercado and the San Antonio Convention Centre, those looking to explore are in for a real treat, while guests simply seeking to ease back and relax will be sure to find the soothing facilities, in-house dining venues and any one of the 338 lavish accommodations to be just the thing for a truly blissful time in San Antonio. 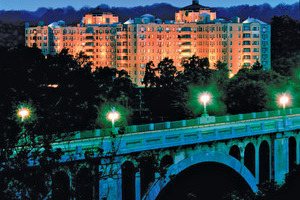 Delve deep into the heart of Washington, DC, with a visit to the Omni Shoreham, a lavish hotel where travellers can expect nothing but pure, unadulterated levels of comfort, generous amounts of space, undeterred privacy and an attentive level of service that all comes together to make any visit to ... the US capital all the more memorable. Located on Calvert Street, guests will have an easy time uncovering the wonders of the city with ease, with such highlights as the National Zoo, the White House, the National Cathedral and the Lincoln Memorial all within reach, while those simply looking to unwind or pursue business endeavours will be sure to appreciate the many facilities on offer, the in-house dining venues to choose from and the comfort granted within each of the plush filled accommodations that make up this unforgettable urban haven. Housing a total of 413 elegantly designed accommodations, a warm and welcoming in-house restaurant and a number of facilities to utilise, the Radisson Hotel & Suites Austin Downtown is the perfect place for visitors to the state capital of Texas to ease back and relax in between exploration and adventure. ... Take in the nearby sights and sounds surrounding this downtown Texan getaway or spend some time in the salt water pool, working out in the fitness centre or simply enjoying the views from your plush-filled accommodation to enhance your holiday experience. 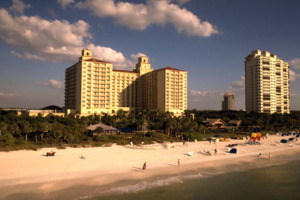 Situated along the ocean front of Clearwater Beach, the Sandpearl Resort welcomes each and every traveller to indulge in the sights and sounds of one of Florida’s most beautiful beach settings, where sun-kissed sands and lapping, turquoise waves wait to greet you. Providing a magnificent level of seclusion as well ... as generous amounts of space, and luxury, the resort is perfect for the discerning traveller who appreciates an enhanced experience from start to finish, and with an attentive level of service to look forward to, an enhanced experience is all but guaranteed. Whether you’re looking to immerse yourself in the soothing ambiance of this tropical oasis or yearning for some sun, fun and adventure, this resort is more than happy to accommodate, and with so much to do and see both in and around the establishment itself, you’re sure to leave this holiday haven feeling completely rejuvenated. 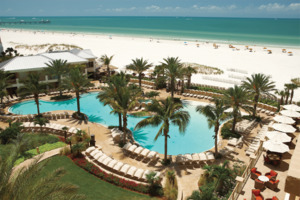 Choose between the ebbing waters of the Gulf of Mexico or the soothing waters of the pool belonging to the Sheraton Sand Key Resort, either one will prove to be a truly relaxing experience like no other while you enjoy the unforgettable ambiance of Florida’s own Clearwater Beach. Designed so ... as to further enhance the surrounding splendour of the beachfront community, the resort with its spacious settings, elegant sense of style and decor along with its attentive level of service are just the things you’ve been looking for, ensuring a memorable occasion for family adventurers, romantic couples and business travellers alike. 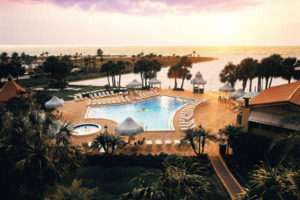 Spend your days indulging in the sights and sounds found peppered across Florida’s west coast or simply ease back and revel beneath the sun within the comfortable confines of the resort, but do so knowing full well that you are bound to finish your holiday feeling completely rejuvenated. Tanque Verde is nestled in the Sonoran Desert, near Tucson, and boasts an extensive riding programme. All levels are catered for here and lessons are given to beginners, whilst even the more experienced riders are tested before they are assigned a horse from the 150-strong herd of Mustangs, Quarter-horses and ... Appaloosas. Guests have the option of choosing from three scheduled rides per day, all heading off into the surrounding wilderness, offering superb scenery and the exhilaration of riding over varied terrain. The ranch also benefits from an on-site naturalist with whom guests can take a desert wildlife tour. Other activities here include tennis, mountain biking and swimming in the indoor/outdoor pools. 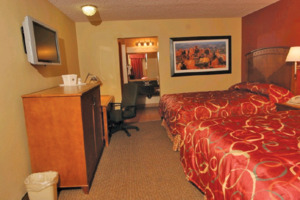 Accommodations are air-conditioned and enjoy either desert or mountain views. Evening entertainment ranges from country line dancing to western tales from guest speakers. Locations don't come much better than this, with Tenaya Lodge set on 50 acres of natural beauty just two miles from the south entrance of Yosemite National Park. 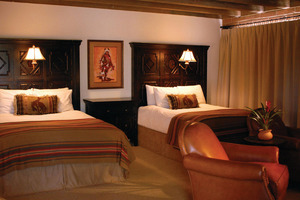 Accommodations offer the ultimate in luxury with a traditional log cabin influence. Relax in front of a rustic, crackling fireplace whilst sampling ... a selection of culinary delights in one of the fantastic dining venues or enjoy a local creft brew in the Bearfoot Bar. An array of energentic activities are available for those seeking adventure and the Ascent Spa provides a calming haven at the end of an action-packed day. Prepare your senses for what is sure to be an unforgettable experience in one of the most beautiful cities in all of Florida, and what better way to get the most out of the sights and sounds of Naples than by spending that time in The Ritz-Carlton, Naples, an idyllic ... beachfront getaway where not only can visitors indulge in the tropical ambiance that permeates all throughout the region but can also ease back and enjoy the spacious settings, elegant designs and attentive level of service the hotel provides. Whether it’s basking upon the soft sands of the beach or watching the sun set from the comfort of your own plush-filled accommodation, travellers are sure to find that this modern paradise caters for all occasions, and with so many activities in and around the hotel you’ll simply be spoiled for choice, but one visit to the in-house dining venues, swimming pools and the spa should tip the scales in the hotels favour. Nestled deep amongst the central landmarks of Fort Worth, The Worthington Renaissance Fort Worth Hotel provides visitors to this Texan city with the opportunity to explore and discover plenty of the area’s most prominent landmarks and districts while being treated to a world of comfort, style and attentive levels of ... service. 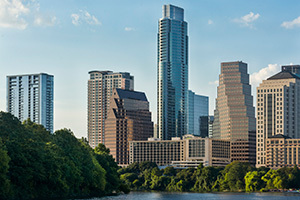 Take advantage of the close proximity to such local highlights as the Stockyards, Sundance Square and the AT&T Stadium or simply ease back and enjoy the plush-filled accommodations, in-house dining venues and mixture of soothing and recreational facilities that only this “Star of Texas” can provide. 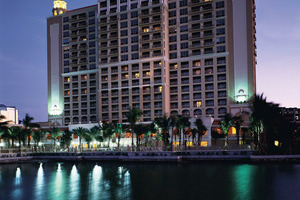 Prepare yourself for a spectacular journey into the Gulf of Mexico, where pristine sands, lapping waters and the ambiance of the city awaits you, and what better way to enjoy it than with a stay at the comfortable and stylish Trianon Old Naples, a warm and welcoming hotel that brings ... an abundance of modern comforts together to ensure traveller satisfaction through and through. 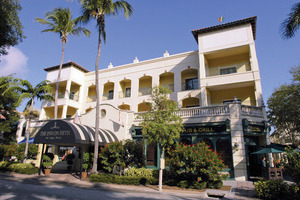 Located in a peaceful residential neighbourhood in Naples, the hotel provides plenty of easy access for avid explorers looking to immerse themselves in the wonders of the area, with such highlights as the Sudgen Theatre and von Liebeg Art Center a short distance away as well as the shopping and dining outlets of Fifth Avenue as well as the popular beaches that make this such a beautiful destination. With so much to do around the hotel, guests are sure to appreciate the plush furnishings and spacious settings that await them at this idyllic holiday haven. 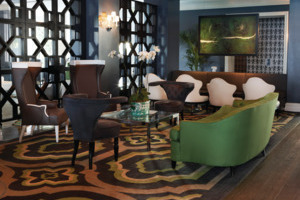 Settled nicely into New Orleans’ cultural French Quarter, the W New Orleans invites all travellers to experience the cobblestone streets and historical facades of The Big Easy while also embracing the modern comforts, spacious settings and attentive level of service the hotel provides. Boasting a close proximity to many of ... the highlights dotted around the area, avid explorers are sure to love the ease of access to the many bistros, jazz hangouts and art galleries throughout the district, while the hotel itself boasts plenty of soothing and recreational facilities for guests to utilise, its own in-house dining venue to experience and a total of 97 lavishly designed accommodations to choose from, all coming together to ensure traveller satisfaction no matter what. 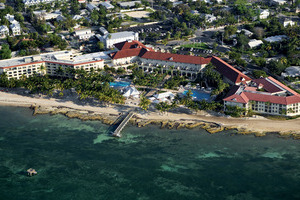 Enviably situated atop the only private beach in all of Key West, the Waldorf Astoria Casa Marina Resort adds a level of lavish exclusivity to your Florida vacation, bringing enormous amounts of contemporary opulence and style to the fore while also showcasing the distinct designs of this iconic establishment whose ... history stretches back to the 1920s. Embrace the soothing atmosphere of this warm and welcoming resort by making use of the numerous facilities, paying a visit to the in-house dining locales or simply taking in the views of the surrounding area from one of the many lavish accommodations that make up this heavenly getaway, or for more of an adventure why not explore the oceanfront or perhaps discover the bustling nightlife venues of Duval Street. With so much to do in and out of the resort, a memorable time is all but guaranteed when staying at this magnificent resort. Settled amongst some of the most renowned neighbourhoods within the booming heart of Washington, DC, the Hilton Washington brings together a world of modern comforts, spacious settings and attentive levels of service and combines those aspects with the convenience of providing easy access where guests can truly experience the very ... best that the capital of the United States has to offer in all its authenticity. Travellers are welcome to explore and uncover the sights and sounds that are easily accessed from the hotel, with Adams Morgan, Woodley Park and the U Street Corridor all located nearby, not to mention the Smithsonian National Zoo and iconic landmarks like the Lincoln Memorial and the White House. The hotel itself features a wide range of soothing and recreational facilities for guests to get to grips with and utilise at their own leisure, while the in-house dining venues and many lavish accommodations set the tone for what is sure to be a truly unforgettable Washington vacation. 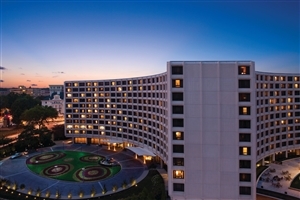 The Washington Plaza is a comfortable and friendly hotel with a resort-style atmosphere; generally considered to be one of the best value hotels in Washington D.C. It has a central location at Thomas Circle, just five blocks from the White House and within walking distance of the Smithsonian Institute and ... all the attractions along The Mall. 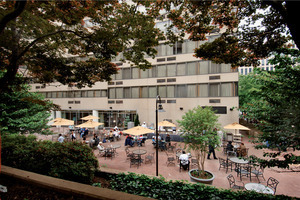 With easy access also to the Metro and an array of restaurants and shops, the Washington Plaza makes a very convenient choice for your D.C. stay. Delve deep into the culture and vibrancy of “Music City” with a stay at the Westin Memphis Beale Street, a warm and welcoming city getaway that brings the sights and sounds of this Tennessee hotspot closer than ever before. With so much to do and see throughout the city, travellers ... will be spoilt for choice, and with the hotel smack in the middle of the downtown district, such sights as the FedEx Forum, Gibson Museum and Beale Street are just waiting to be discovered, not to mention the many event venues dotted around the area, making this a veritable explorer’s haven. For those who on the other hand are seeking comfort and style, look no further than this personal paradise, whose many modern facilities, lavish accommodations and in-house dining venues all come together topped with an attentive level of service to appeal to business and leisure travellers, striving for nothing short of the best. 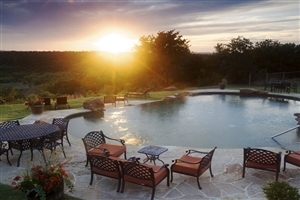 Located atop some of Texas’s most beautiful terrain 90 minutes northwest of Fort Worth, the Wildcatter Ranch strives to provide a unique experience for travellers seeking a retreat amongst the sheer splendour found throughout the North Texas Hill Country. Seamlessly combining luxury with the western ranch lifestyle, guests can expect ... nothing short of excellence from start to finish during their stay, with activities to be enjoyed both in and out of the ranch that is sure to appeal to those looking to relax as well as those looking to explore. Whether it’s for a professional business trip, a romantic sojourn or a family adventure, the Wildcatter Ranch is sure to impress. 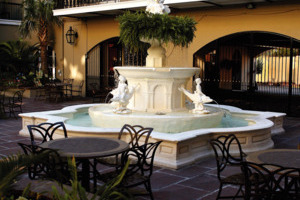 This hotel is situated only blocks from the French Quarter and Bourbon Street. 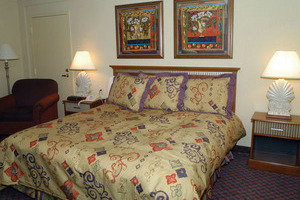 It is within walking distance of many of New Orleans famed attractions. Louis Armstrong New Orleans International Airport is easily accessible. 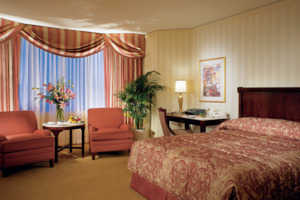 The hotel offers a range of optional accommodations, from cozy sleeping rooms to delightful suites at ... affordable rates. The stay is made comfortable by an in-house restaurant, bar, pool and fitness center.